From scientific research to commercial applications, eye tracking is an important tool across many domains. Researchers from MIT and University of Georgia developed software that can turn any smartphone into an eye-tracking device. Besides making existing applications of eye-tracking technology more accessible, the system could also help detect signs of incipient neurological disease or mental illness. 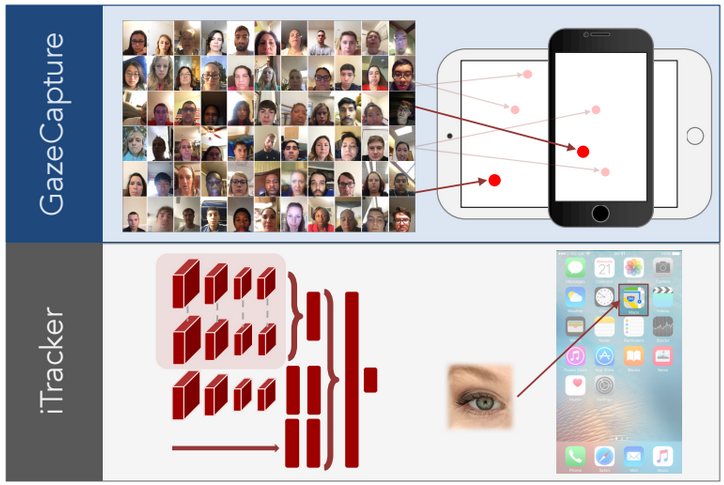 To help build their dataset, the researchers first created an iOS application and uniquely leveraged the crowdsourcing ability of Amazon Mechanical Turk to collect eye tracking data from over 1,450 people. Previously, the largest dataset used to train an eye-tracking system was about 50 subjects. 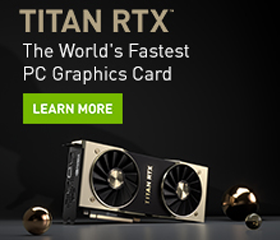 They then used the power of TITAN X GPUs with the cuDNN-accelerated Caffe deep learning framework to train their model, and achieved a margin of error down to 1.5 centimeters — a 2x improvement over previous experimental systems. Since the paper was published, they have acquired data from 700 more people and have reduced the margin of error to nearly a centimeter. The researchers developed GazeCapture, the first large-scale eye tracking dataset captured via crowdsourcing and by using GazeCapture, they trained iTracker, a convolutional neural network for robust gaze prediction. The researchers believe that once they’re able to have 10,000 training examples, they will be to lower the margin of error a half-centimeter which should be good enough to make the system commercially viable.